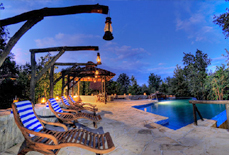 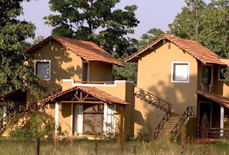 Situated near the Mocha gate of Kanha National Park, Bundela Safari Lodge is a deluxe safari lodge known for its elegance and warm hospitality. 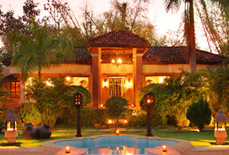 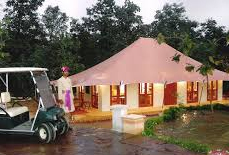 This is an ideal place that offers guests the real experience of staying in a jungle. 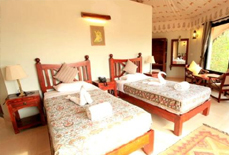 Excellent infrastructure and comfortable environment are features that attract visitors to this lodge, and it often meets their expectations. 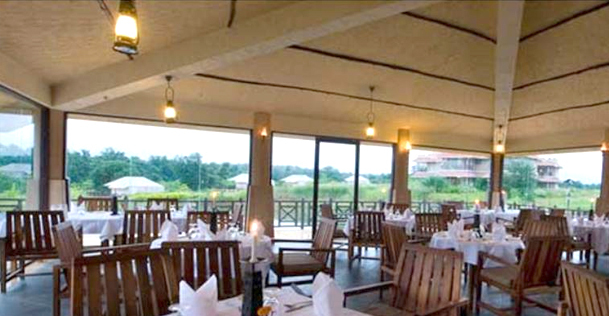 Spread over 8 acres of natural greenery, this resort has an ethnic charm that offers an unforgettable experience to guests. 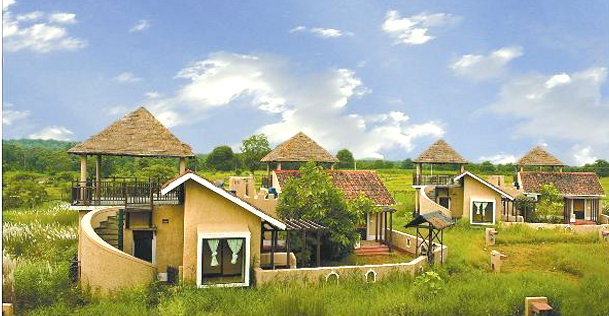 When you are staying at Bundela Safari Lodge, you experience a new level of warm hospitality, top-notch services and exotic feel of jungle fun. 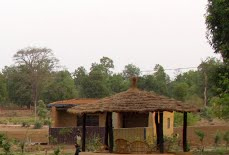 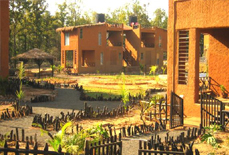 The resort is built in such a way that it allows you to feel the fresh air, view chirping birds and hear the sounds of wildlife. 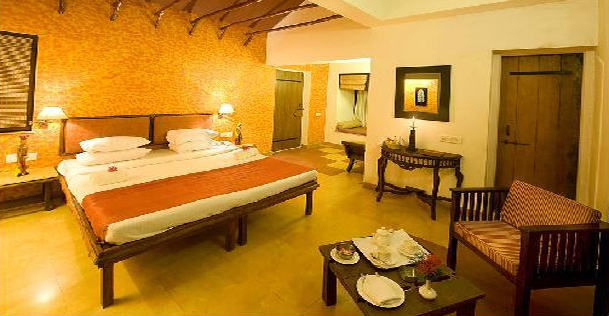 Amenities like swimming pool, spa, multi-cuisine restaurant, and theme dining make sure that you make the best of your holidays. 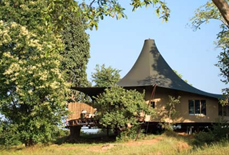 Accommodations: This deluxe safari resort has 20 rooms in all with 4 luxurious jungle tents, 4 independent cottages and 12 cosy and well-designed rooms. 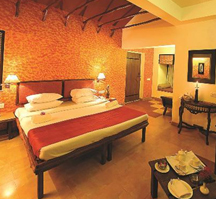 All the rooms are spacious enough. 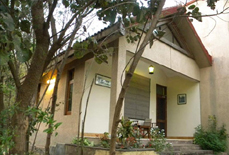 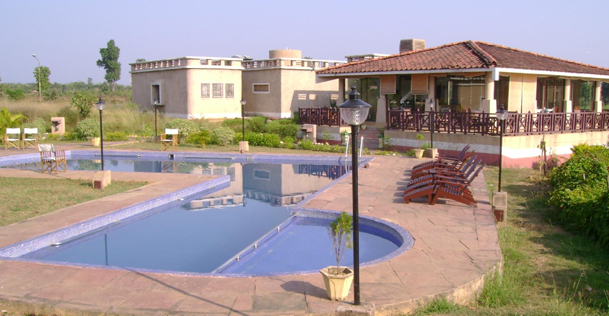 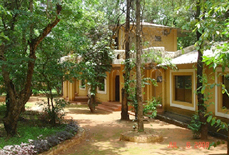 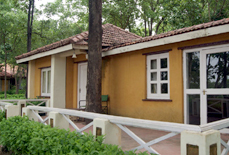 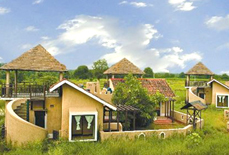 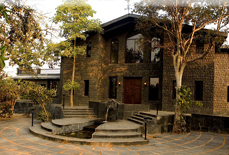 Bundela Safari Lodge is approximately 160 kms from Jabalpur airport and 250 kms from Nagpur airport while the nearest railhead is the Jabalpur railway station. 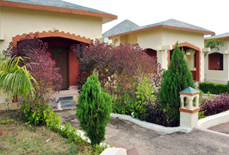 Bus transport is also available from Jabalpur for further journey.